AIIS conducted a survey of language program alumni in 2018. We received responses from 174 former language program participants in various stages of their careers. The responses reflect a body of alumni that is highly educated, employable, and actively engaged in international affairs, South Asian Studies, and community service. Explore the survey results through a set of interactive infographics here. 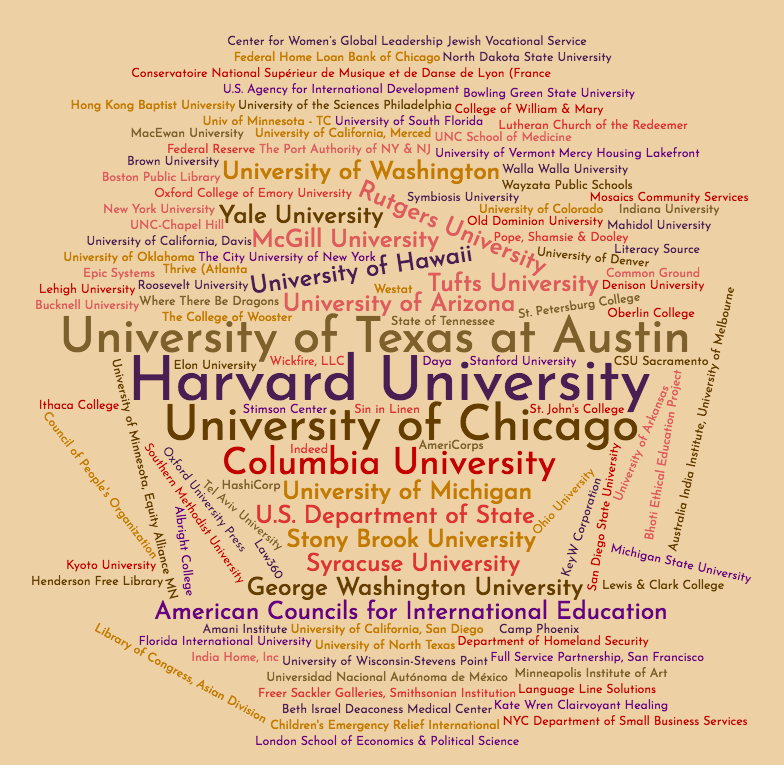 A snapshot of some of the prestigious institutions of higher education, non-profit organizations, government, and private companies where AIIS language program alumni find employment.